While other restaurants are sending out food that seems part of some obscure performance art; twiddled and tweaked and delivered with a ten minute soliloquy about overworked ingredients picked in moonlight or some other rubbish, Busby and Wilds, the little dining gem of East Brighton, work quietly and diligently in delighting their diners. They, like me, seem to be part of an old fashioned idea of going out for a meal in order to eat, and to eat well. And they are certainly feeders here, plates are as inviting as the welcome at the door, and the vibe is stylish and relaxed as ever. But enough of that, let's dive into the meal shall we? My potted crab starter looked elegant and I appreciated two decent slices of toasted soughdough to eat with it rather than the tiny portion of bread you normally get in restaurants. The little cup of rich crab bisque was an interesting addition and the pickled fennel and apple puree a nice acidic element to cut through all those lush, earthy flavours. My main was everything you could want from a meal on a chilly night. 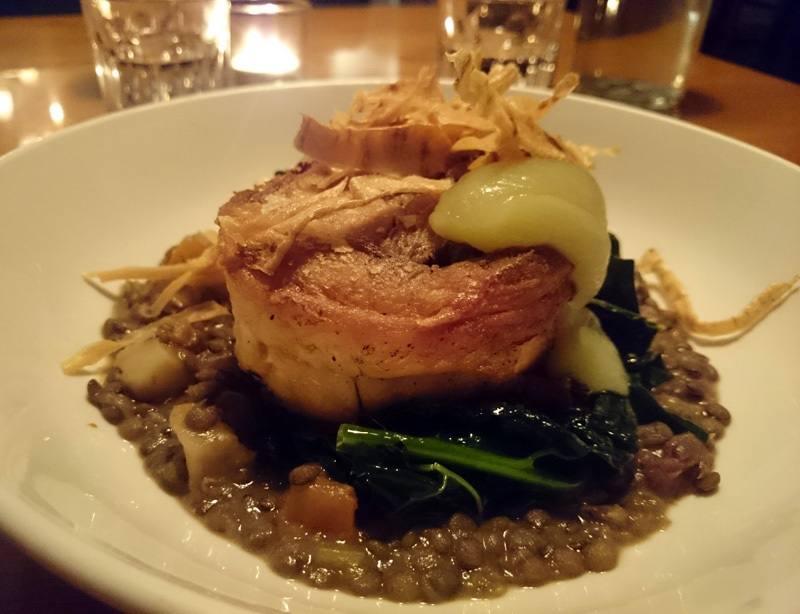 A comforting hug of puy lentils and root vegetables given a gorgeous smoky element with bacon. There was a generous serving of cavolo nero that still retained a delicious bite and topped with a beautifully rendered roll of pork belly, crisp and succulent and melting in all the right places. What's not to like in a dish like this? Although nothing new or inventive, it's the food most of us would be happy with. We've had the bbq brisket here before, but again the meat was tender as it could be. 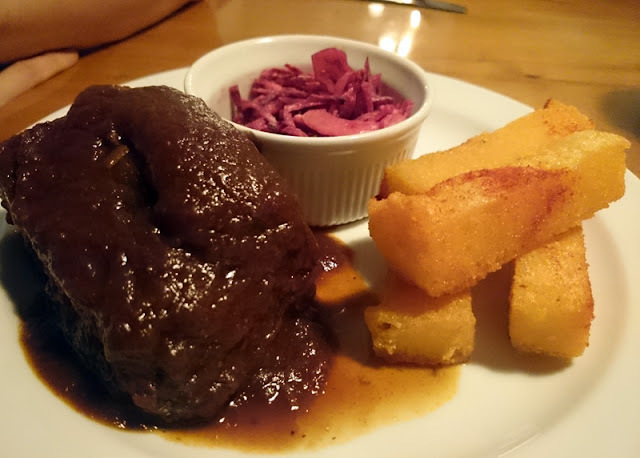 Brisket has a gorgeous texture in the right hands and was served simply with fat, crisp polenta chips and a fresh slaw. 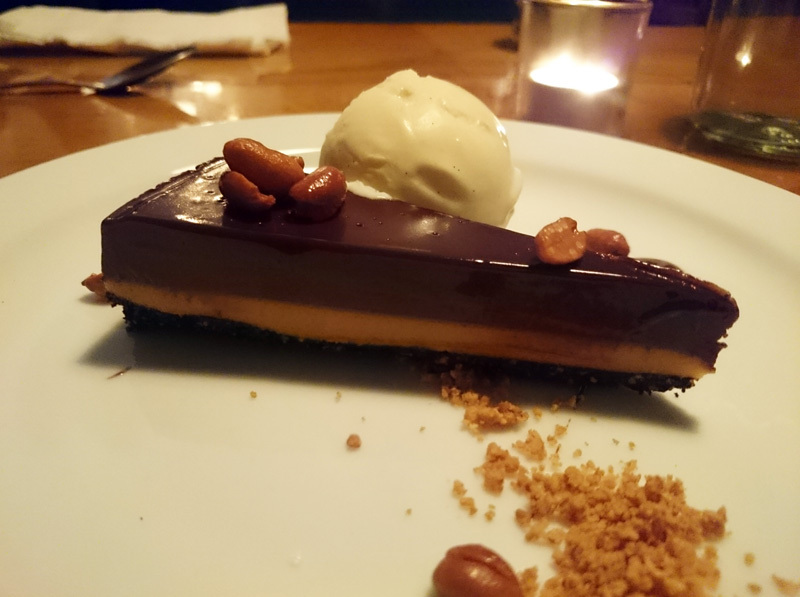 The dark chocolate and peanut butter torte was like the poshest Snickers you will ever have. Not sweet or sickly in the slightest, but very grown up and decadent. I adored all the textures and contrast between the silky torte and candied peanuts. I'm awarding this one the chocolate dessert of the year. 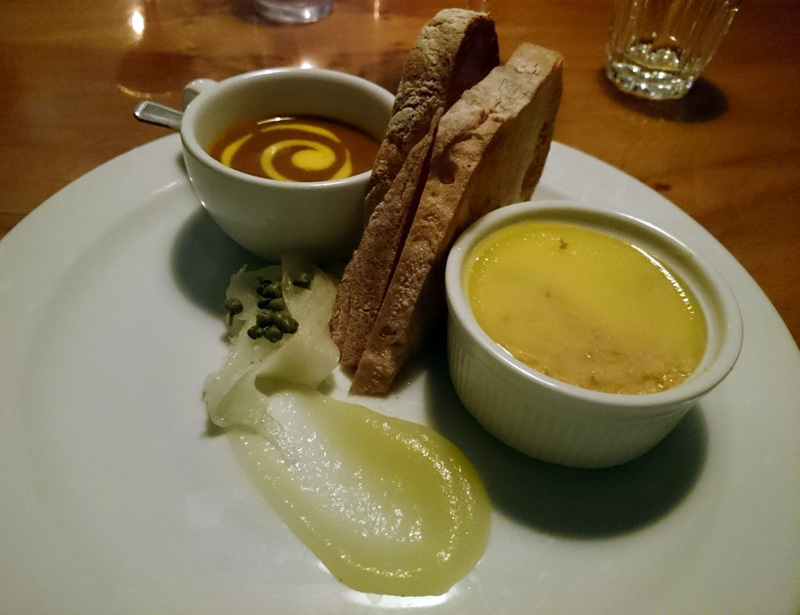 Service is exactly right for this style of dining; informal, friendly and well paced. The drink menus are good, I always appreciate the option of a carafe, glasses or full bottles and they have put as much effort into the beer menu as the wine. Ok, so I may be drowning Busby and Wilds in praise but it deserves it, pitching itself spot on interior and food-wise and attracting diners to a formerly difficult location in East Brighton. This is a restaurant for people who like to leave happy, full and looking at their diary for their return visit.